The U.S. attorney’s office in Madison said an investigation by the FBI and the U.S. Department of Justice’s Civil Rights Division found insufficient evidence that staff members at Lincoln Hills School had used unreasonable force against inmates repeatedly. The attorney’s office said in a statement that prosecutors faced a heavy burden in proving that staff members willfully used more force than necessary. “Federal prosecutors must not only prove that the force was excessive, but must also prove, beyond a reasonable doubt, that the staff member acted with the deliberate and specific intent to do something the law forbids,” the statement said. Problems at the youth prison outside Irma in northern Wisconsin have been building for years. 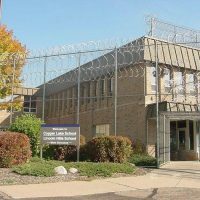 Workers say conditions got worse in 2011 when two juvenile prisons near Milwaukee closed and teens were consolidated at the facility. The FBI launched the probe in 2015.